This tool is iSunshare Excel Password Remover. This approach is executed with the help of an algorithm which creates a spreadsheet with a known password and then copies it to the respective fields. Sub PasswordBreaker 'Breaks worksheet password protection. When the Workbook structure is unprotected, then you can edit it without asking password. 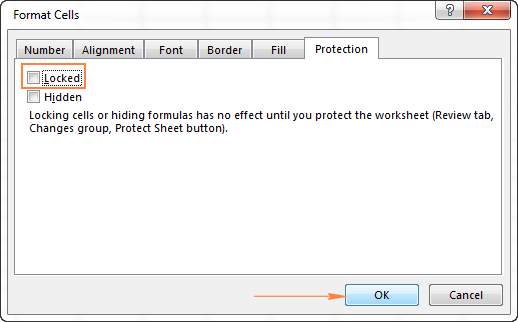 This is how you can protect an Excel sheet and lock the entire workbook from changing or opening. Install and run the password program on your computer. However, note that these methods only work when the worksheet itself is protected, and will not help if the entire file is password protected. Part 2: Unprotect Excel Workbook structure When you password protect the Excel Workbook structure, you can't change the structure of Workbook, such as add a sheet or delete a sheet. Password protection of Excel files should not be regarded as bullet-proof. The tutorial shows how to protect Excel sheet with or without passwords. When the Worksheet is unprotected, then you can edit the data on it. Commercial software has always existed to remove the passwords, and it is readily available for purchase at reasonable prices from a number of different developers. Then set main parameters for the recovery type, such as password length, password range, Mask, and directory etc. On the Encrypt Document dialog, clear the small black dots from the password text box to set it blank. His professional career includes stints as a computer tech, information editor and income tax preparer. And yes in this list are also the veryhidden-ones. As this files add more features to the file, it is always password protected. Even when you protect your Excel worksheet with a password, that password is very easy to break. Click on Insert, select Module. Using PassCue for Excel Instantly Remove Worksheet Password with PassCue for Excel Using a tool to recover lost Excel password is quite a professional approach taken by most of the computer experts since it reduces effort and time. Thus we have chose a best Excel Password Recovery tools of all time. Protection was strengthened in subsequent versions, and you had to cycle through 93,600 different hashcodes to find one that worked. This is the easiest way you can get to open encrypted excel file. Luckily, Excel provides a quick and easy way to lock a sheet or password protect an entire workbook to prevent accidental or deliberate changes in their contents. So you hide the worksheet. Not saying it doesn't but it would seem a little too simple to break encryption of a file that way This might be feasible in terms of removing a password protection on modifying the data. I almost never encounter workbooks that cannot be opened without first providing a password. Enter the Unprotect Sheet password, and click on Ok. Now, the excel file is unprotected, it won't ask for password anymore the next time you open it. One that we are going to take up for discussion is , which can quickly recover your lost Excel open password with three attack types Dictionary attack, Brute-force attack and mask attack , one of the most effective attack is mask attack, which can ensure 98% success rate of password recovery. But will not solve your purpose. Not sure how that would work as the reason you can't break the workbook password by the old methods is that the xlsx files are now encrypted. 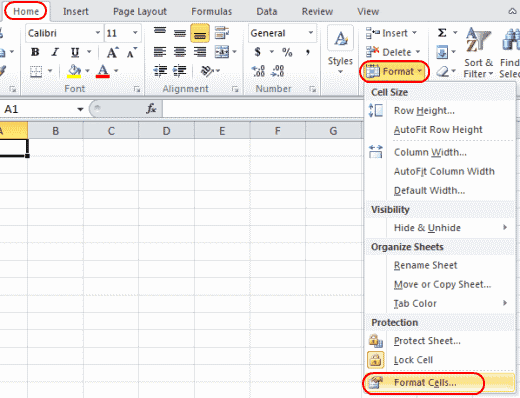 A common example is Locking formula cells to prevent inadvertent erasure or modification of formulas. How to unprotect Excel sheet without password As mentioned in the beginning of this tutorial, Excel worksheet protection is quite weak even in the recent versions of Excel 2013 and Excel 2016. Since you are also a careful person, you test to make sure no one can unhide the worksheet unless one knows the password to unprotect workbook: Now you are pretty sure that no one can unhide the worksheet, without the password. It is a freeware software which performs a simple disk edition to crack the protected password. This post is inspired by the previous post Situation Suppose you are going to share an Excel workbook to your colleagues. Way 3: Open Password Protected Excel File without Password Besides recovering password, actually there is one more powerful tool that could removing excel password and make opening encrypted excel file without password come true. And this is exactly what we are going to discuss in the next article. A dialog will pop up if the file or worksheet is protected with open password. Unprotecting a spreadsheet is even easier, provided that you know the password. You can't edit or copy the contents of a protected Excel worksheet unless you first unlock the protection. I thank you for reading and hope to see you on our blog next week. Unprotect Excel Workbook structure without password 1. This software ensures to provide an easy-to-use and an interactive interface to all its end users. You will be able to make an Exc el password remover. Any Trustworthy Method to Crack Password Protected Excel 2016, 2013, 2010, 2007 or 2003 File? Just copy it and you could open password protected excel file. Download the PassCue for Excel to your operational computer. If you are interested in this level of workbook protection, check out the next sections of this tutorial. 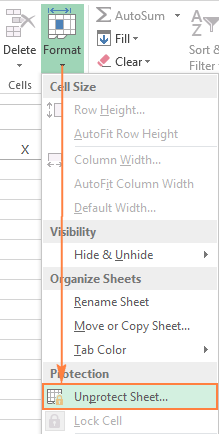 Copy the protected sheet contents to another worksheet Another way or rather a workaround to unlock an Excel sheet that was protected with password is to copy its entire contents to a new sheet.